Though aluminum usually is thought to offer a harsh ride, this younger brother of the Trek Domane 6.9 does an excellent job at taking the edge off the roughest roads. From the get-go, a first-time Domane rider can experience the sensation of a de-coupled seat tube - something that in the past you would have had to spend at least $6,000 to get. 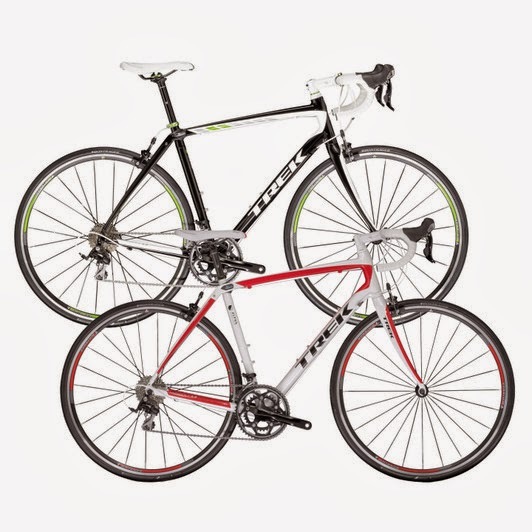 Now Trek offers the same IsoSpeed technology in two aluminum models, the Domane 2.3 and 2.0. The theory behind IsoSpeed is appealing. Where the seat tube and top tube meet, the junction is formed by a bearing which allows the two pieces of aluminum to move independently of one another. 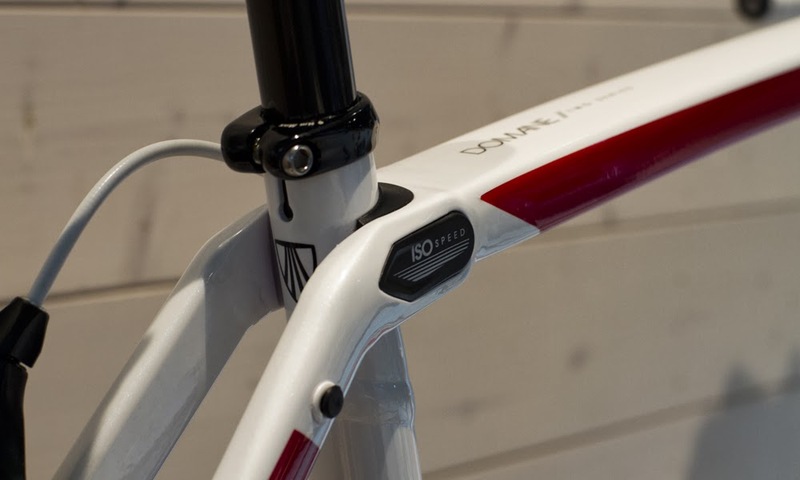 The idea is that the seat tube can flex, thereby increasing comfort, but the flex won't affect the stiffness, and therefore power transfer, of the rest of the frame. The frame is built to Trek's Endurance geometry which means that the top tube is a little shorter than you get on Trek's standard road bikes (even compared to their fairly relaxed H2 fit) and the head tube is a touch longer. The differences aren't massive but you will get a slightly more upright ride position on a Domane. 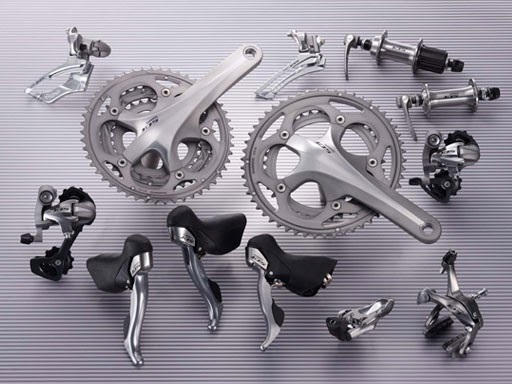 The key groupset components come mostly from Shimano's mid-level 105 range (shifters, mechs, brakes). The 105 groupset delivers an excellent level of performance for the money. The chainset is a non-series Shimano R565 with 50/34-tooth chainrings and a 12-30 tooth Tiagra cassette. Come to any of the Scheller's Fitness and Cycling locations to see this awesome bike and plenty of others, as well as a great selection of indoor fitness equipment! We'd love to answer any of your questions and help you find the perfect machine for you!